For some, the hibiscus-petal shaped segment one is often shown on a map on the northern part of the land between India and Pakistan is seen as representing Indian territory. For some others, it represents Pakistani territory. For years together, statistics have come and gone. From intellectuals to academicians, from journalists to foreign observers, Kashmir has remained a part of a larger conversation – one that invariably ends with sympathetic sounds and a soulful shake of the head. And yet, in the midst of all those stories that get reduced into a statistic, there are real stories – stories that have seldom been told – and have been preserved in the folds of time, shared in hushed whispers. Of the many stories, those of Kashmiri Pandits is lesser known – if not altogether ignored. Avanti Sopory, a writer among many things, has compiled a collection of folktales from her native place Kashmir and which are in the final editing stage. A columnist for a Jammu based newspaper, “Daily Excelsior”, Avanti has also contributed her articles for newspapers like “Young Minds”, “The Daily Latest”, and “Kashmir Times.” She shares her story of life as a Kashmiri Pandit, and being one among the many who were forcibly driven out of their homes in 1990. Kashmiri Pandits have always had a bit of a stay and go sort of a story, for a very long time. In the 11th and 12th Centuries, with the arrival of the Mughal and the Afghan invaders, Kashmiri Pandits had moved out to escape the impact of the invasions. Aurangzeb, the Mughal ruler, forced Kashmiri Pandits to convert to Islam. At one point in Aurangzeb’s reign, the impact of forcible conversions was too much to bear. The Kashmiri Pandits approached the ninth Sikh Guru, Guru Tegh Bahadur, who took on Aurangzeb for their sake. After all the turbulence, the Kashmiri Pandits would return to live in their motherland, in their homes. There was, as it appears, a tendency towards hatred for those who were non-Islamic. Among the minority community of non-Muslims, were the Kashmiri Pandits, the Sikhs and the Punjabis – of whom the latter two were a smaller minority in terms of numbers. This was a backdrop that prevailed for many years prior to day of the exodus. It was around the 1980s – specifically, 1986 and 1987, when things got worse. My mother was a teacher in one of the schools in Srinagar. In those days, the area we lived in had houses that were over a hundred years old. If we wanted to accommodate our expanding families, we had to expand our houses by constructing further. One day, my mother casually mentioned expanding the house to one of her colleagues. Her colleague didn’t bat an eyelid when she responded saying, “Why do you need to develop the house? You’re not going to stay here for long anyway!” At that point in time, it didn’t strike my mother as anything significant. It was only much later that we would all collectively realise that there was a grander plan in place – and that we would bear the brunt of it all. I was twelve when we left Srinagar – I was in Class Six at the time. I’ve grown up seeing curfews and instances of stone pelting. I have heard many stories of families in Kashmir, facing all kinds of harsh treatment. My father worked for the Intelligence Bureau, but this was not something I knew until I was around a marriageable age and my parents made a matrimonial profile for me. While growing up, I had no idea what my father did for work. But, I knew enough that the militants had made a list of Kashmiri Pandits who had held positions in the Government of India, and that list included doctors and professionals, and included my father’s name. My father would tell us, as children, to not take the same route home and not talk to strangers. To us, these were not strange instructions. Once, my brother was stopped on the way home from school and was interrogated – and I remember my father telling him not to take the same route. As we grew up, we heard of so many similar stories of families and children being harassed and questioned. I lived in Srinagar till I was in December 1989. In all the years of my childhood in Srinagar, I never knew how big a deal Diwali was. If there was a cricket match, and India lost the match, it was like Eid in Kashmir – there would be massive celebrations. If India won the match, there would be an atmosphere of anger. Personally, to us, identities and attributes didn’t matter at all – we never felt the need to use identity to make anyone feel uncomfortable. We always co-existed. There are so many ethnic groups, and at our age and level, no one even spoke about these ethnic differences. But in 1989, it all changed. 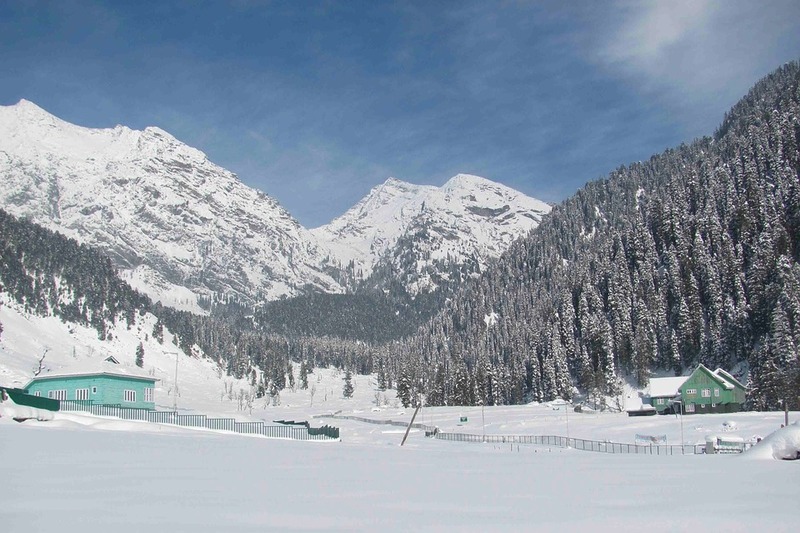 Kashmir has long winters – back then, as I remember it, three long months of winter were winter vacations at school. Back then, in the winters, life would come to a standstill – infrastructure would get disconnected. In December 1989, during the winter vacations, I had gone to Jammu, to visit my maternal grandparents. I wasn’t in Srinagar even on January 19, 1990, the day that went down in history as the official date of the exodus. I had extended family in Srinagar – and they had all been forced to leave. I remember their stories – there were massive calls from the Minarets to drive the Kashmiri Pandits out of their homes. It was not out of the ordinary to constantly hear militants say, “Kafiron niklo” (Hindus, leave) or “Behnon aur betiyon ko rakho aur niklo” (leave your sisters and daughters behind and leave). Agreed that all sides have had a role to play in the Kashmir valley – even the mention of Kashmir leaves a sense of discomfort in many circles. But in my understanding, the jingoism adopted in colouring the militants among the Muslim community, especially by citing the Indian army and then promising them a future with Islamic law and such else, tended to bridle a greater culture of antagonism to the non-Muslim communities. I have heard many stories of mothers protecting their daughters from the militants’ grip. Mothers hid their daughters in sacks of rice, and in rice containers in attics. In case of any intruder barging in, my mother-in-law, kept two big boilers gurgling with hot water ready on the attic; only to spout them on any militant or impostor getting into the house. Of course it was protect her daughters from any mishap. Militants used to point the gun at the chandan tikka – the sandal marker of religion that Kashmiri Pandits had on their foreheads. At the time of the exodus, my great grandmother was alive. We had to haul her out of the house to save her life. For her to move out of our home, the ancient, large building, and then to live in a one-room apartment, in a pigeon hole, literally – leaving behind everything we had known, our homes, our items, our lives – it was just terrible. They say that Jagmohan, the then Governor of Kashmir, was responsible and should have done something to avert it. But the Chief Minister then was busy holidaying outside. There has been no record, no history, no FIR, no official note on these events. My friends and family members in the media tell me that the media is not interested in covering these stories – and it really makes me wonder why there is so much silence around this. We are not fools to believe that such a big thing was happening and the Chief Minister did not have any idea. I may be naïve about the politics surrounding it, but I am being uprooted and I have no homeland, and all this has happened because of my ethnic affiliation. The cost of the exodus has been heavy. I lost my home. I lost my motherland. I lost the cultural and ethnic affiliation that binds me to my soil. I tell my children that I am Kashmiri – but my children, who were born in Delhi, they don’t connect with their Kashmiri Heritage. And as newer and newer generations of the displaced populace continue to be born, they will go further and further from the truth of their heritage. They have had plans to resettle Kashmiri Pandits in Kashmir, and have even given some of them positions in certain administrative capacities in Kashmir. But why is it that only some people have this? Why is it only in select administrative positions? Why is the core position never given? We haven’t had a single Kashmiri Pandit climb the rungs and hold larger administrative positions. I have no home to go to, at the end of the day. Today, a Kashmiri Pandit in Kashmir is still afraid when he gets out of the house to even so much as buy vegetables. The light is erratic in their areas alone. Why? Since the exodus, I have not been to Srinagar. There is no desire, either. I don’t want to go there as a tourist. They had burned down my house. Kashmiri Pandits, as a community, have come a long way, and have moved onto eking a living of our own. We are all over the world, and have settled around the world. Is it that if we were uprooted, we are supposed to remain in grief all along? Is our moving on a sin? Does it mean that our past can be obliterated, forgotten, never to be entered in the books of history?